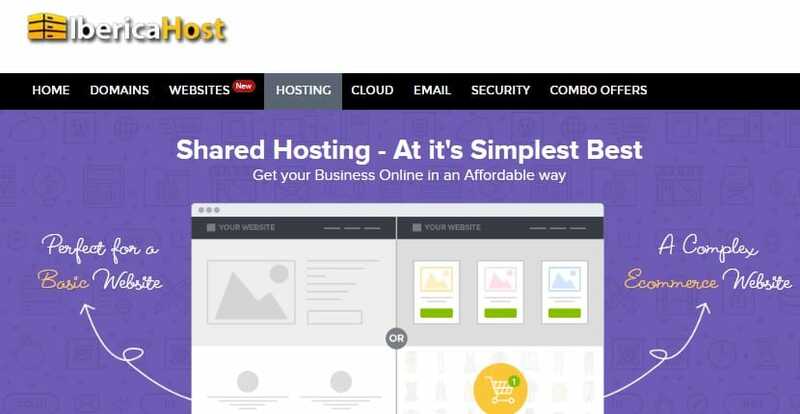 IbericaHost Review 2019: Is IbericaHost a Good Hosting? IbericaHost provides a range of low-cost shared hosting packages that are hosted on the Cloud along with dedicated servers, cloud hosting, domain registration services, and SSL to individuals, professionals, and businesses in Spain and the EU. Based in Mallorca, IbericaHost is a reputable hosting company with more than 10 years of hosting experience. They provide shared web hosting (Linux, Windows, and WordPress) solutions as well as cloud hosting and dedicated servers with robust features and unmatched security. Their website is in English and Spanish. If there’s something that really impressive about IbericaHost, it has to be the speed and power of their servers. Ibericahost’s shared hosting is hosted on the Cloud and powered by Varnish Cache which ensures maximum performance. Your site’s pages are delivered via a global CDN, so you’re assured of speed that’s twice that of local hosted servers. You can choose to host your website on servers in the U.S., the U.K., or India. You don’t need any specific programming knowledge or coding experience. Using their simple website builder with an intuitive drag-and-drop interface, you can create a functional website and publish it within minutes. They will give you full access to over 170 professionally designed themes and 80,000 images that you can customize to suit your website. Alternatively, you can deploy a CMS website or e-store using the 1-click installer with over 50 scripts. cPanel is available on all of their hosting packages. Simple and user-friendly, this tool lets you manage your shared hosting account from your browser. You can create personalized emails, add-on domains, manage DNS settings, import files, and monitor website stats from a central location. With a few clicks, you can customize your account to match your hosting preference. Though there are no monthly plans, IbericaHost’s annual plans are both affordable and risk-free. You can cancel your hosting package at any time. It’s also easy to upgrade from lower-level plans to any of the higher ones because customers are not locked into a specific contracts. With their Pro or Business shared hosting, you can host multiple websites and even add secondary domains without a problem. Support is available in Spanish and English. It would be nice if they had a direct phone line, but you can reach out to the technical support team via live chat or email. IbericaHost offers risk-free hosting plans that come with lots of wonderful features and support for various applications at a price that competitors can’t match. Wondering how IbericaHost stacks up against other Web Hosting companies? Enter any other Web Hosting company and we will give you a side-by-side comparison.